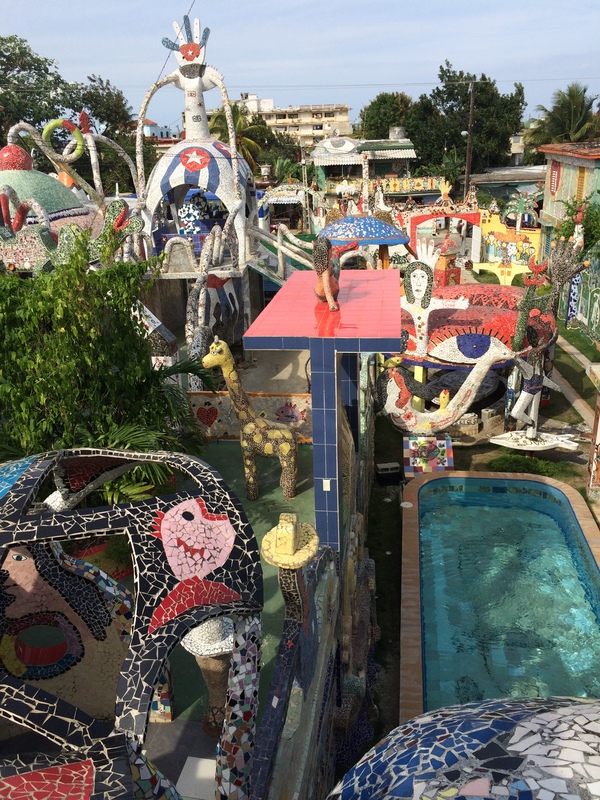 Any visit to Havana is not complete without a visit to Fusterland, the home and studio of Jose Fuster. 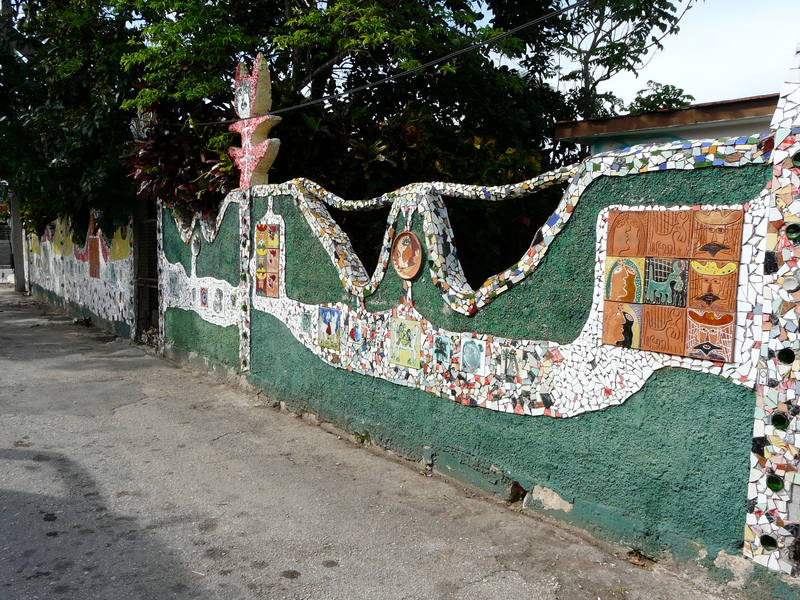 Having moved to the small town of Jaimanitas 30 years ago to set up his studio in this Havana suburb he has slowly created a living art gallery that no longer can be contained inside his own home but has spilled out onto the street. 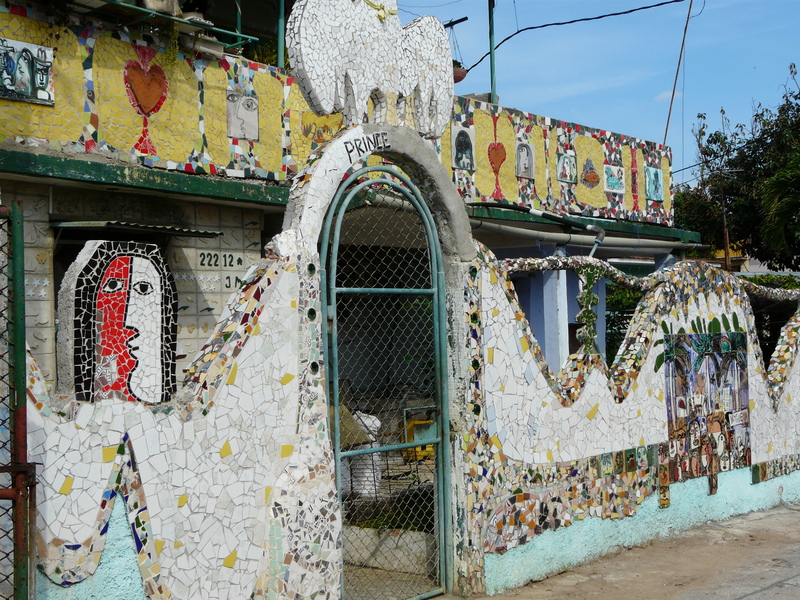 This small fishing town on the outskirts of Havana has embraced the imagination of Fuster and over 80 of his neighbours have allowed him to decorate their homes with his paintings, mosaics and sculptures. As you walk around the streets they are filled with colour. Its stunning. 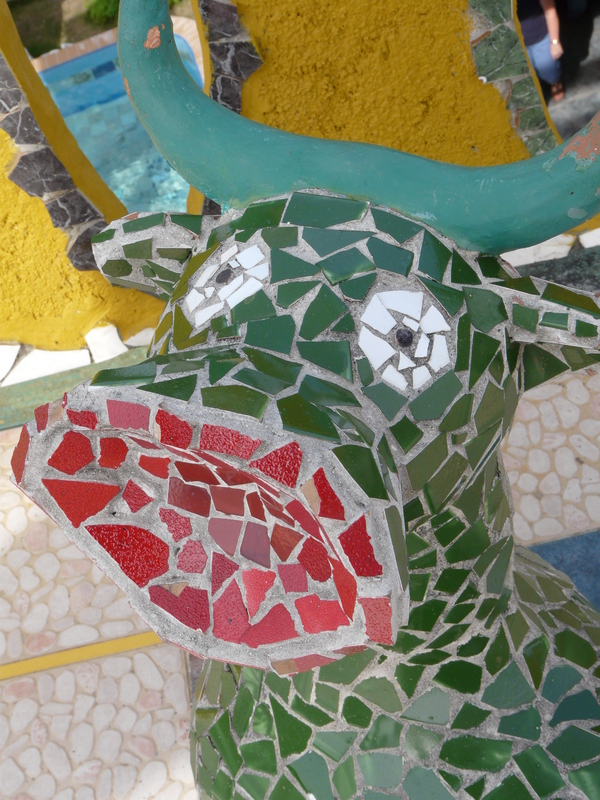 Each painted tile or mosaic is different, everything coming out of one mans imagination. 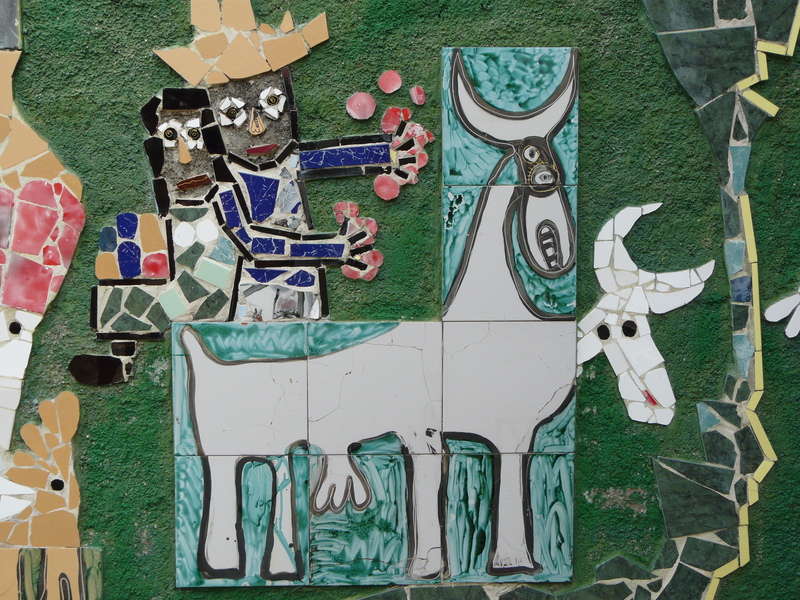 The fabulously creative murals that fill the walls of Fuster’s house. This is one of the most stunning art galleries I have had the privilege of visiting. It’s so inclusive, everyone is welcome and that is what Fuster wants, art for all and not just those who can visit galleries or collect art. I was recently invited to the opening of an art residency at a hotel. The hotel was the Jumeirah Lowndes Hotel in London. The Art Movement, an art consultancy, has taken up residence in the hotel and will in their programme showcase some of the world’s finest contemporary artists within the hotel lobby and Lowndes Bar & Kitchen Restaurant. The first artist being Chuck Elliott. The aim being that guests can view the art and purchase. It’s intended to be a new way of displaying art as an alternative to a gallery. The Art Movement want to demystify the process of acquiring original art. I quite like this idea of creating new ‘art galleries’ accessible to people who maybe wouldn’t wander into an art gallery. I like it when art is accessible to all people, I think that is why I am so drawn and interested by graffiti and street art. It’s a way for people to express themselves on an open canvas to a wide audience and get them thinking. 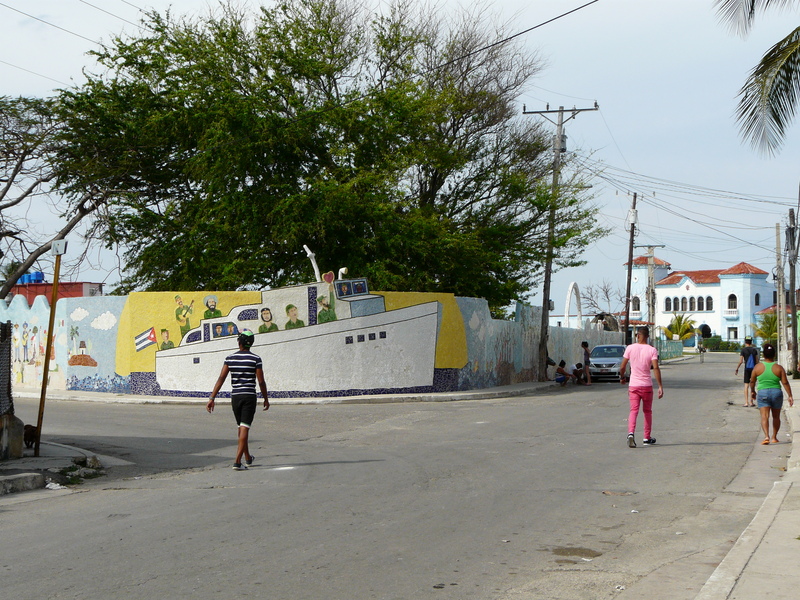 Street art is something that I always look for when I am abroad as it gives you another layer to the culture and the people of the country you are in. 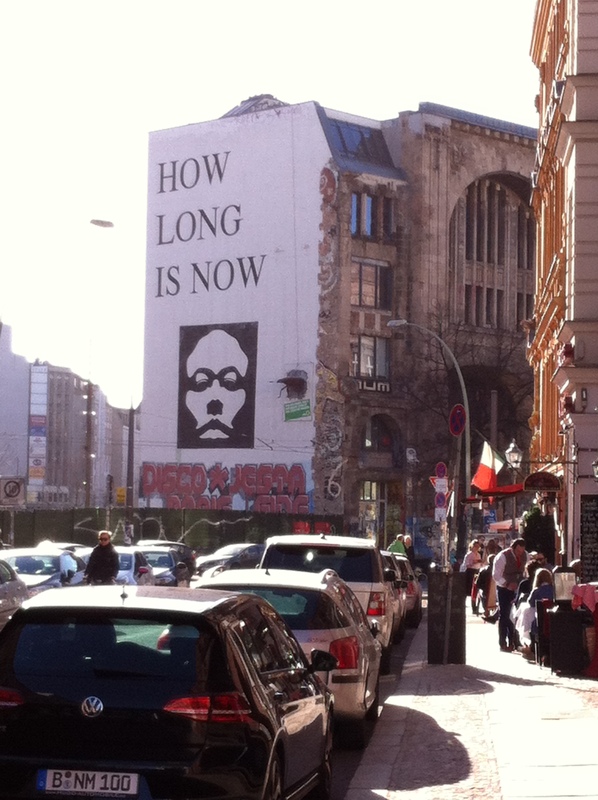 One of my favourite cities for Street Art is Berlin. 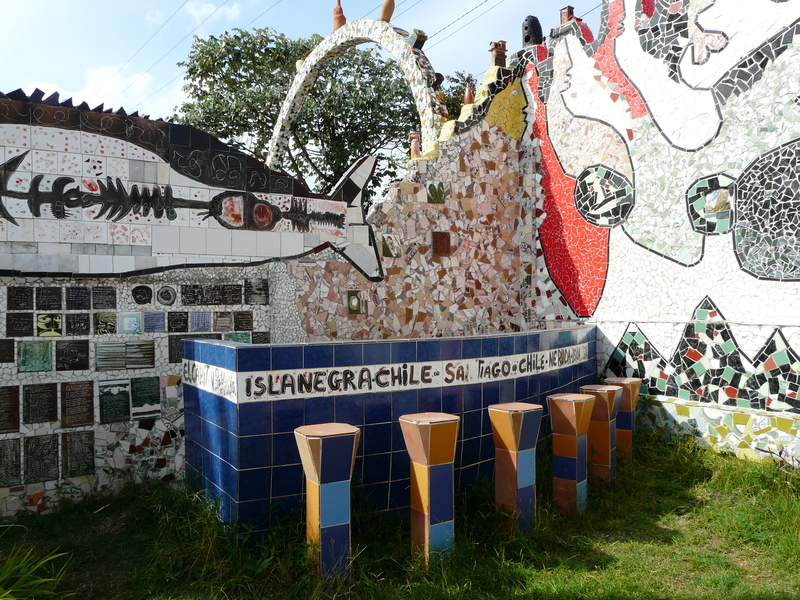 This is a city rich with art and it has a long history of expressing itself through art – just look at the East Side Gallery – the remnants of the Berlin Wall. It is showcase of politics, oppression, freedom and culture. Its one of my favourite galleries. 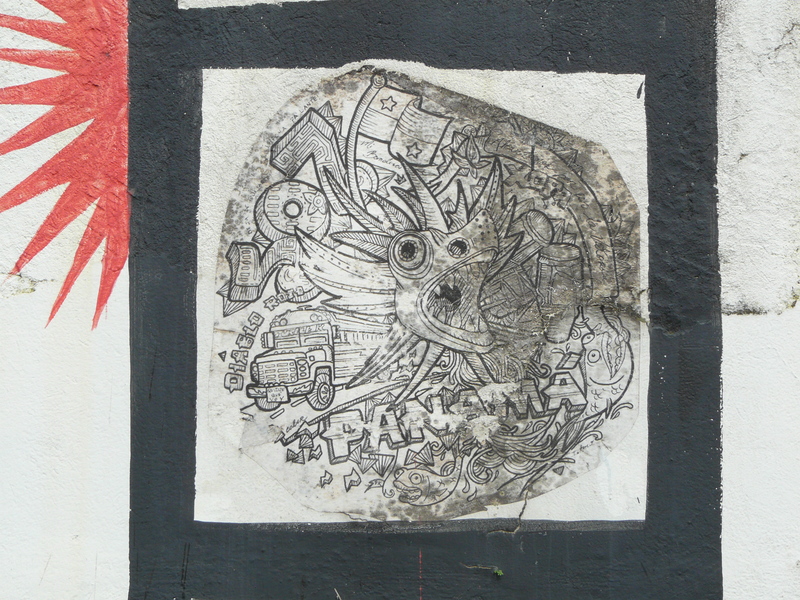 But along with the wall, the streets and buildings of Berlin are littered with graffiti and art all showing different thoughts and feelings. Its not only the East Side Gallery that show cases the artistic talents of the city but all surfaces, no matter their height. 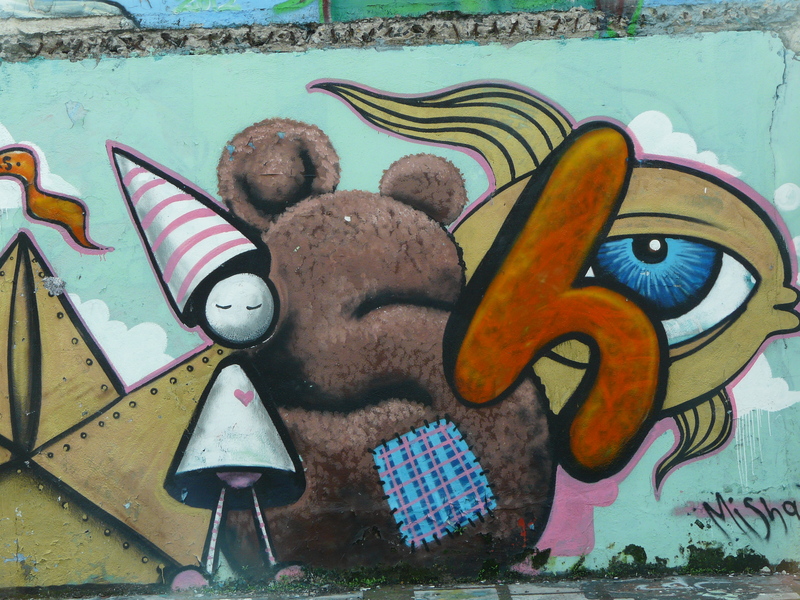 The sides of apartment buildings are painted to look like gardens, a wall full of sunflowers or words of expression. The East Side Gallery, the worlds longest open air art gallery. 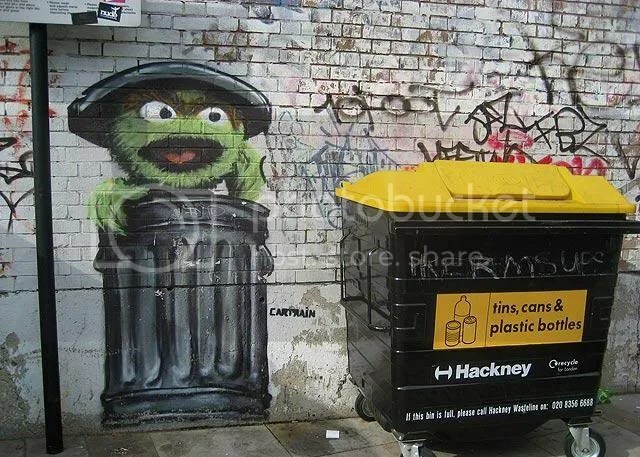 Of course here in London and the UK we are not short of street art. 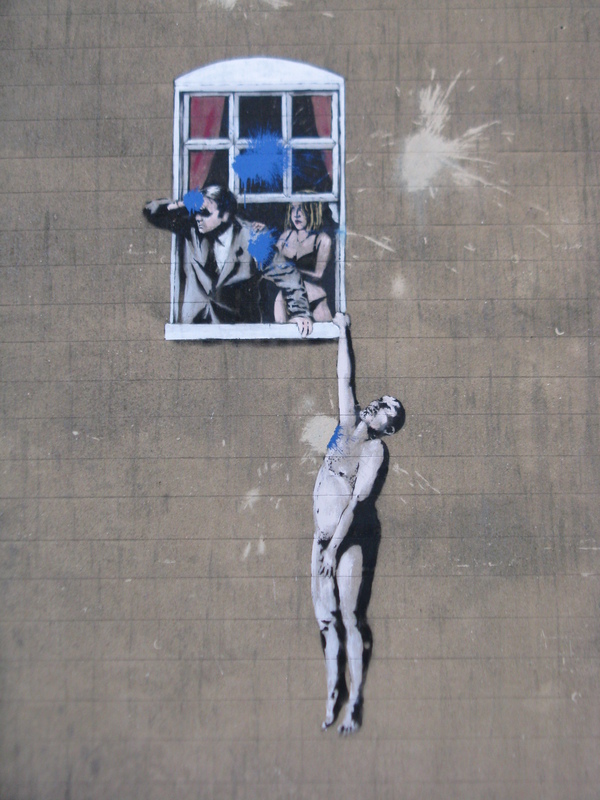 Just look at Banksy, he made a name from creating art, originally on the streets of Bristol, and then further a field. In the eyes of some he is just a graffiti artist or vandal while others are willing to pay millions for an original Banksy. Wandering around Bristol and spotting a Banksy is part of the fun of going to visit the lovely city. Here in London of course we are spoilt… yes I am not going to deny it most of the graffiti out there is just tagging and pretty non descript but then you go to somewhere like Shoreditch which is starting to become like a living art gallery, around every corner is an artistic surprise, big and small. I follow quite a few people on Instagram but I particularly like following Anissa Helou as she is always putting up new pieces she finds wandering around Shoreditch – I can admire the art wherever I am thanks to her pictures! 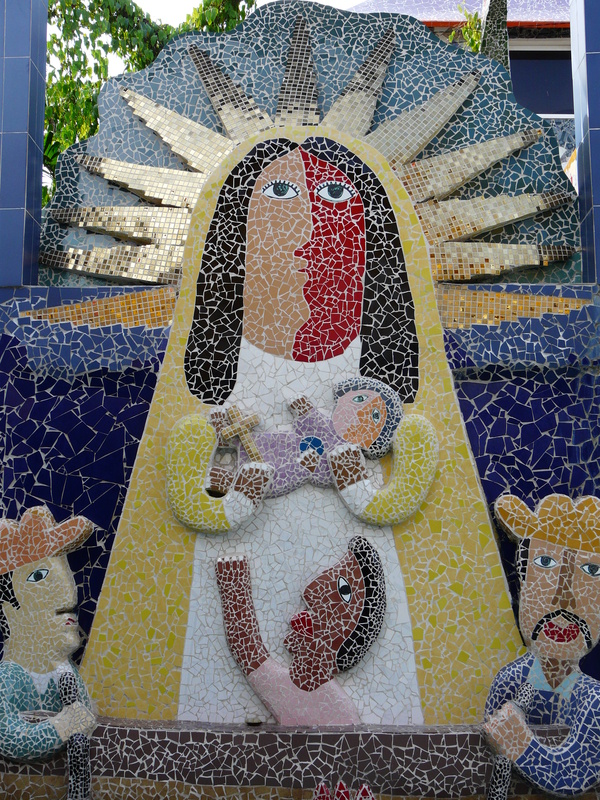 The art has become so popular that tours are popping up to show it all off. 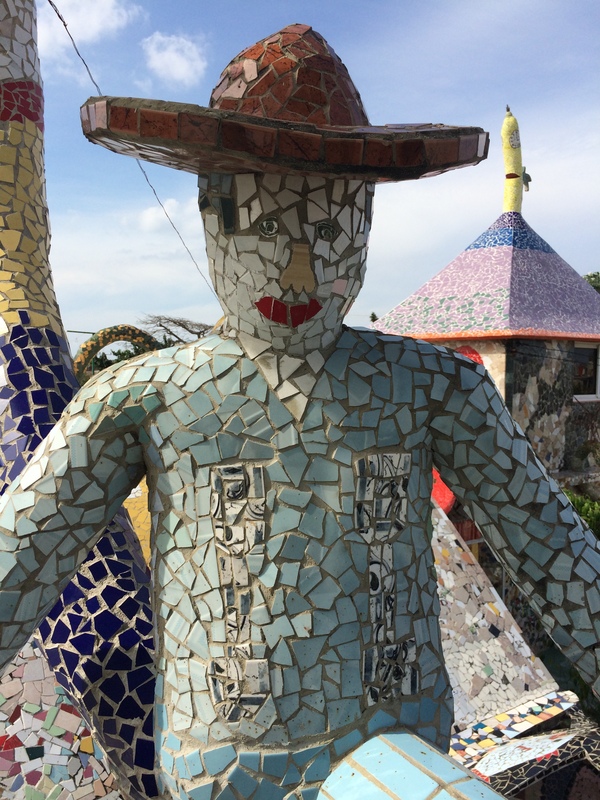 More recently I have been introduced to an art project in Cuba Fusterlandia,created by Jose Fuster, known as the Picasso of the Caribbean. 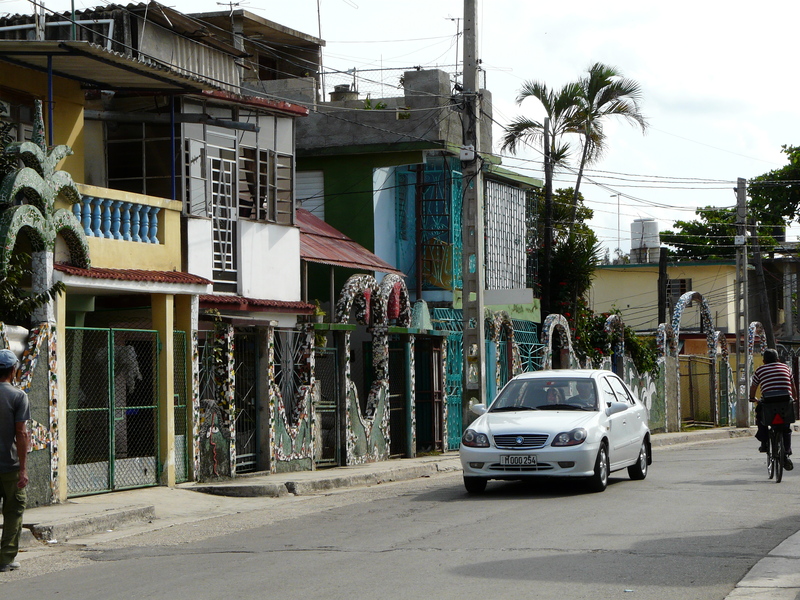 As you enter the Havana suburb you are met by block after block of mosaic creations. 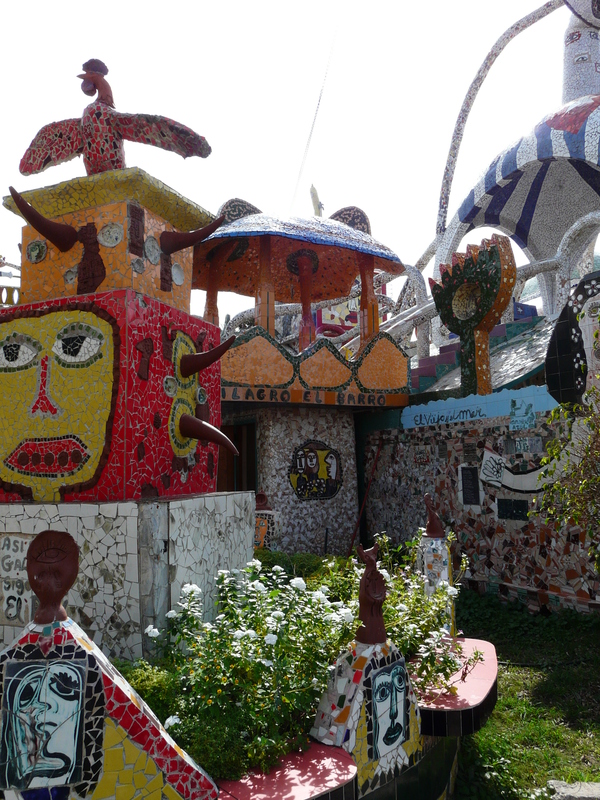 It’s a suburb that has been turned into a living art project and encourages the inhabitants to express themselves through their houses, gates and gardens! 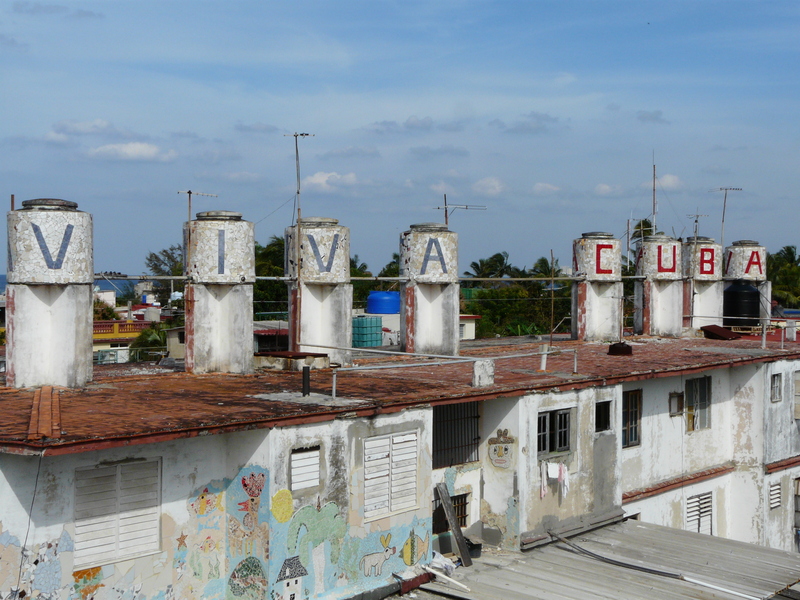 This is definitely something that I am very excited to explore when I go to Cuba in January! Stepping away from paint into the world of sculpture there are so many places that are now being used as galleries outside of the norm. 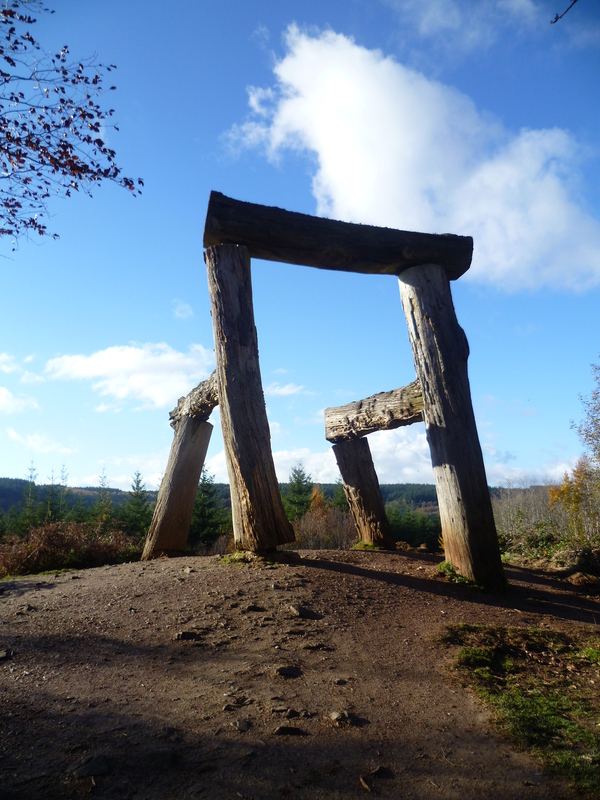 I like the idea of sculpture parks, like the Forest of Dean Sculpture Trail. Putting a piece of sculpture in the context of nature, where the elements can get to it. Of course this is not art you can buy but it can be appreciated, and your perception and feelings towards it are always going to be different depending on the weather. You are more likely to rush around when its cold and wet than if it was a warm sunny day where you can linger and explore all the aspects of it. 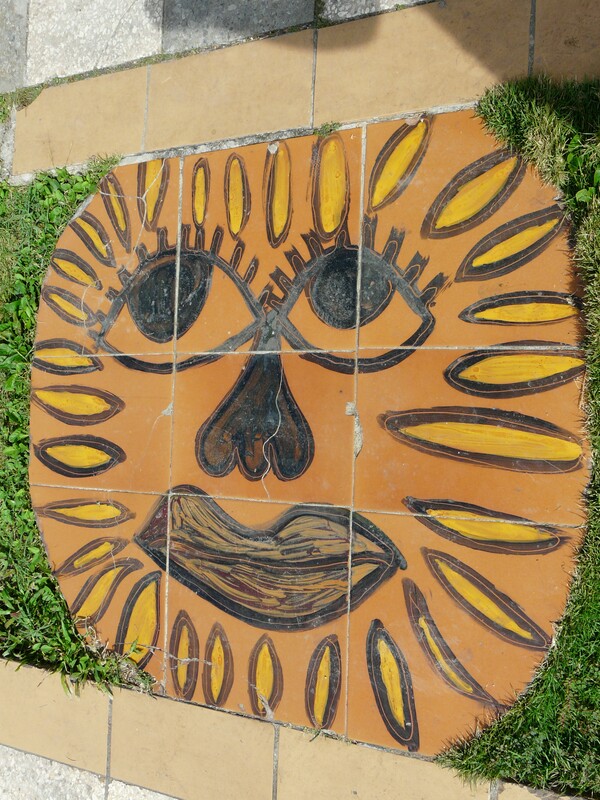 Sculpture parks and walks allow you to go back time after time and experience the same things in different ways, something that isn’t really possible in a climate controlled museum or gallery. There is so much creativity out there that its hard to contain it all within the four walls of an art gallery – of course do not tell that to all those boutique private galleries that fill the streets of London and other cities a like trying to sell the wares of artists. As long as it isn’t hurting anyone I do not see a problem with using new spaces to express yourself through art. I hope to keep seeing art popping up in unusual places. 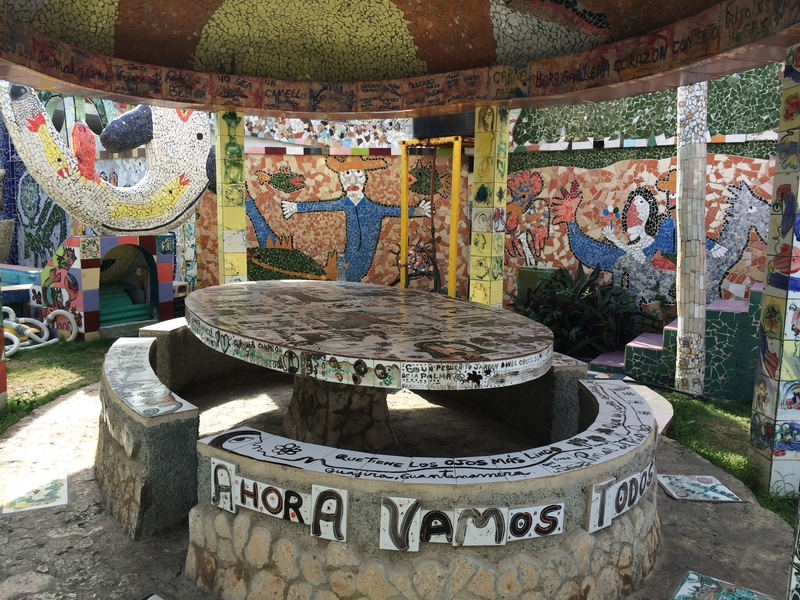 I encourage you to go out and find art in unusal places. 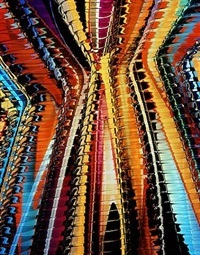 Find something and keep going back and see how the elements effect your perceptions of it. 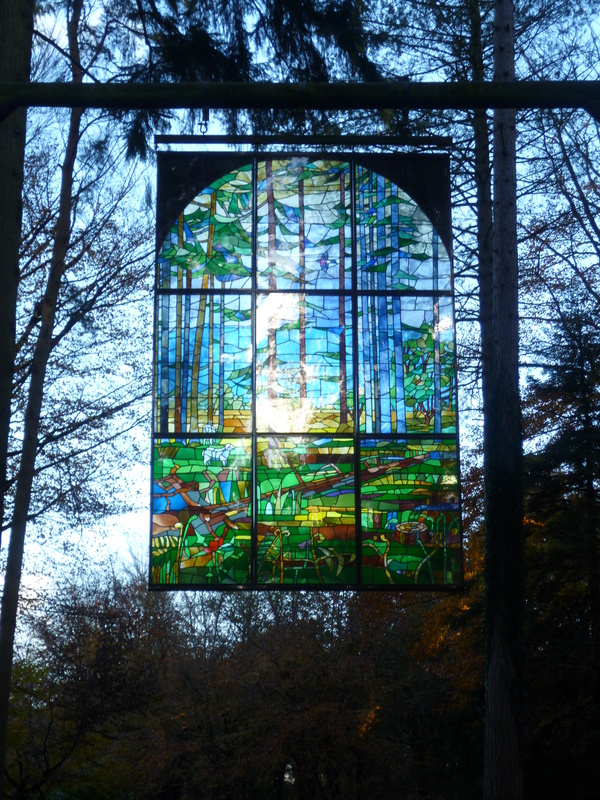 Go and explore art – I dare you! I tend to leave a city with a set opinion of whether I liked it or not and would go back but Johannesburg has left me perplexed. Did I like it as a city, I just cannot decided! In fairness I was only there for a couple of days and one of those was spent out in Soweto but usually I can form an opinion by then – instant judgement. I like a walkable city, one where you can stroll around and find hidden gems and explore but you cannot really do this in Johannesburg as everything is so spread out and everyone drives everywhere. One thing that I did like about Johannesburg was the chance to learn. I think like most people of my generation we know a little bit about Apartheid but we were too young to really know what was going on at the time and when I was of an age to understand Apartheid had ended. 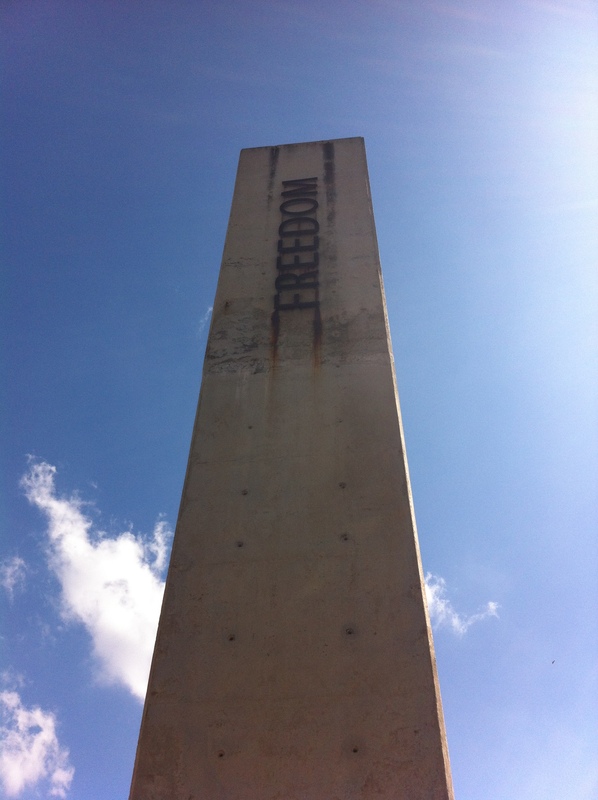 My time in Johannesburg has allowed me to really learn and understand the history of South Africa. I definitely left the city and the country more educated. First stop on our trip was stopping by the house where Nelson Mandela died. 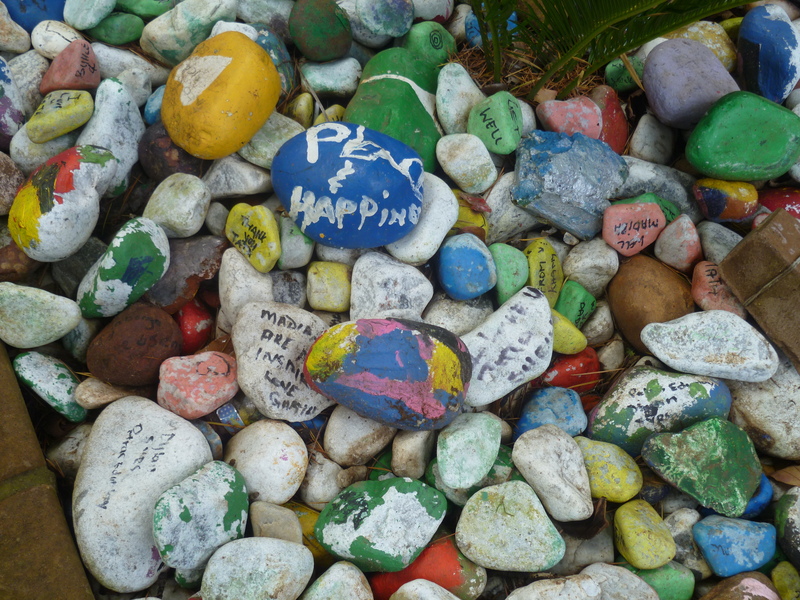 Outside the house were piles of stones that had been painted with messages and pictures by people who had wanted to leave something, a thank you or get well while Nelson Mandela was ill. They were such simple gestures but one of the most moving things I had ever seen. While we were taking photos, a family pulled up in their car and the father got out and planted a small tree in the garden outside the walls of the house. Even now the people of South Africa keep thanking him for what he did for them. 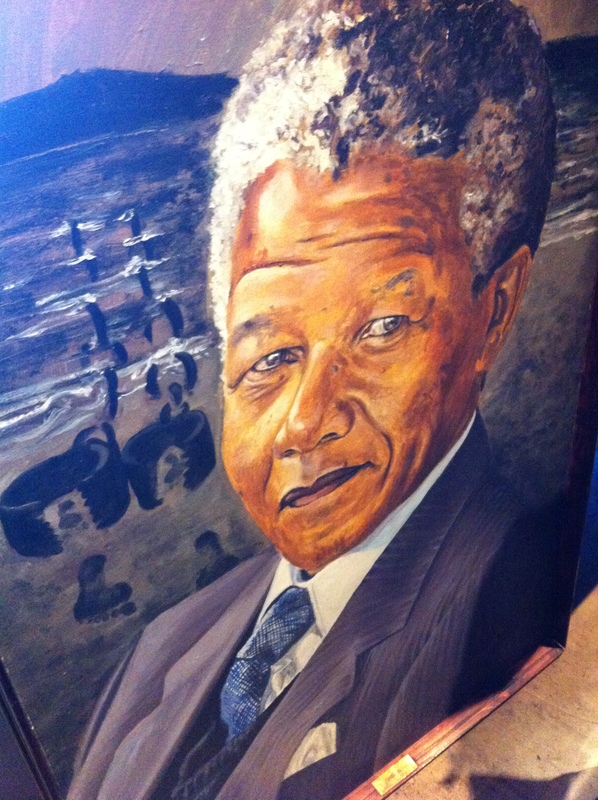 Over my time in South Africa I was to realise just how important Nelson Mandela was to the people. It is very hard coming from the UK to understand how people can feel so connected to a man, a politician! From Mandela’s house we moved onto the Apartheid Museum and here we started our education. The museum is set on a hill that gives you great views of downtown Johannesburg, set in a peaceful garden its a stunning setting to get people thinking. 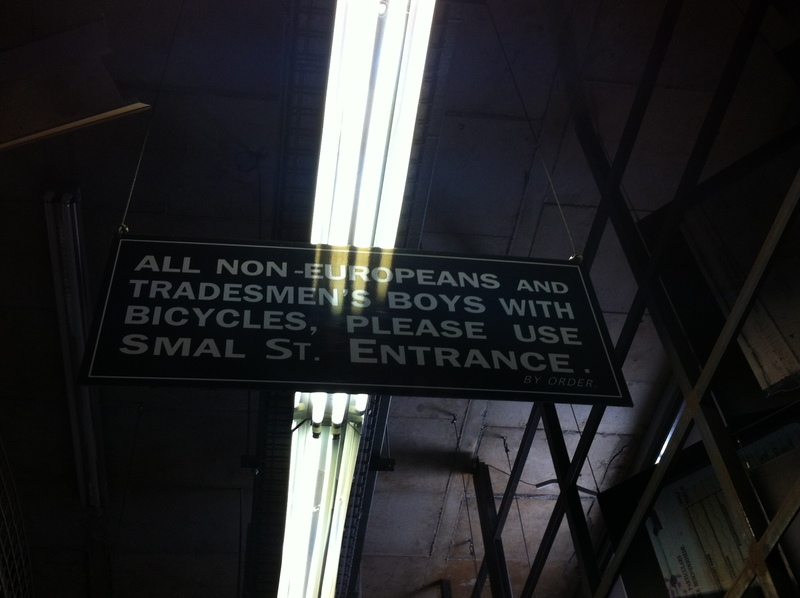 As you enter your tickets are labelled either white or non-white and here your education in segregation begins. Depending on your ticket you enter the museum through different doors and passageways. Inside the museum ( allow at least a good couple of hours to really explore) there is much to see and read. 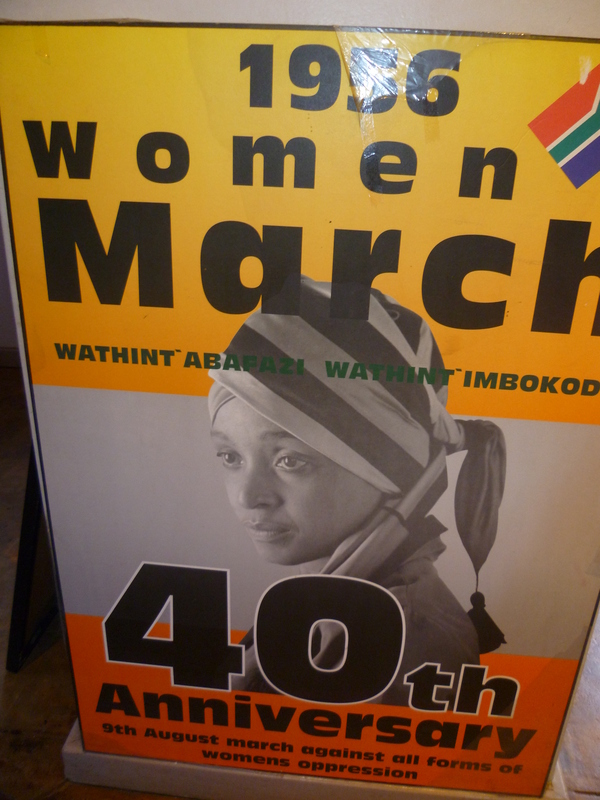 It takes you through the history of the country and lead up to Apartheid and then into its history and laws. When we visited there was an exhibition about Mandela, but this may only be temporary. The museum uses the power of architecture, word and image to convey the history and struggles of the country. It was definitely moving and a great way to educate people. Our second day took us further into South Africa’s history by visiting Soweto, one of Johannesburg’s townships that was created during Apartheid. 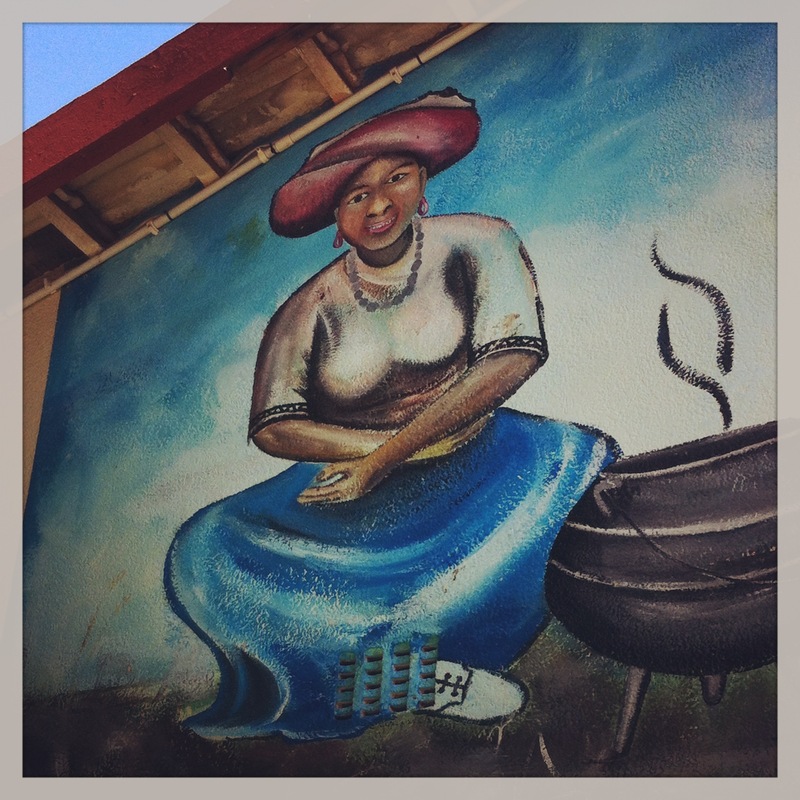 I think like most people I went to Soweto with an image in my mind of what it was going to be like. You hear all the stories on TV and the news about violence and it gets a reputation. Now I am sure there are some undesirable parts and there is a level of crime and violence but we didn’t see any of this and to be honest we were on a tourist trip so it’s not like our guide would walk us into areas where there would be trouble. 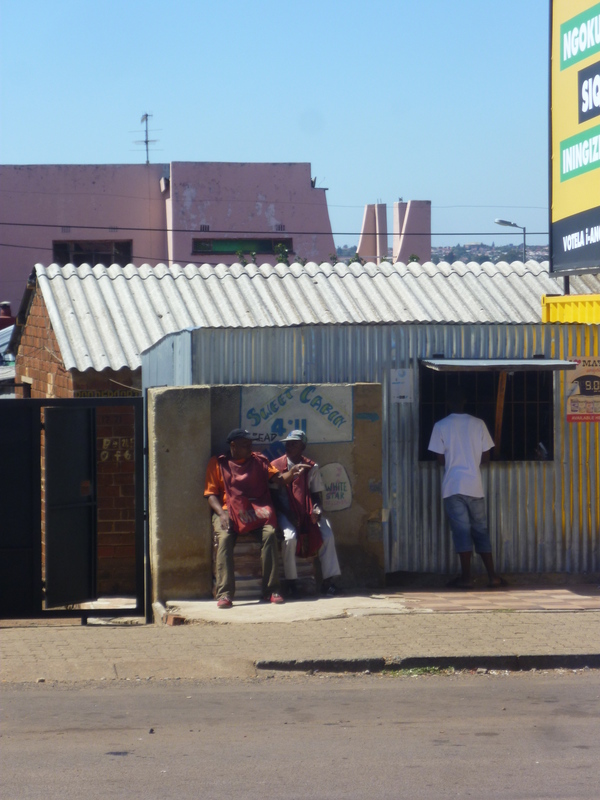 However, everyone we met was lovely and from what I saw Soweto was really turning itself into a pleasant place to be. As you drive past Baragwanath Hospital ( once first, now third biggest hospital in the world) you pass the Soweto taxi rank. Getting closer to the centre life seems to get better, but on the outskirts there are still so many people living in unofficial houses – shanty towns. 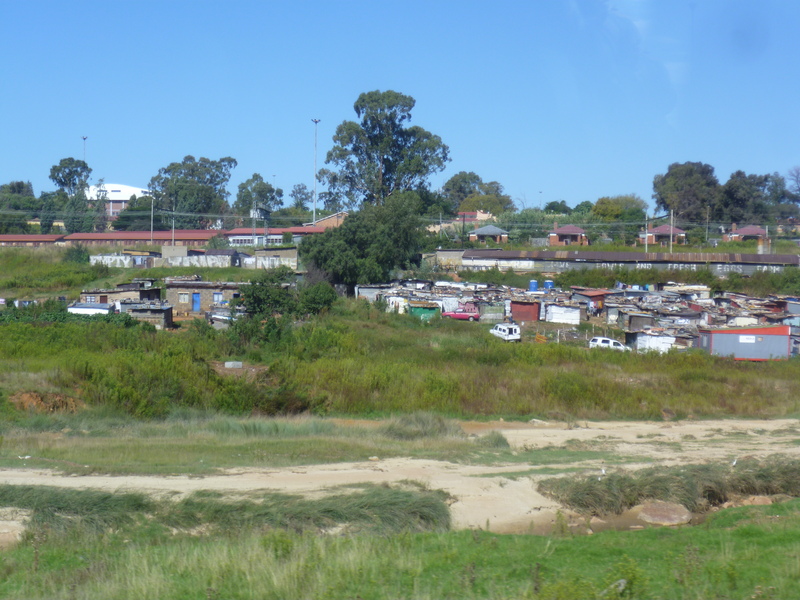 Charities, like the Nelson Mandela Foundation and the government are building houses and parks to make the area better but it will take quite a few more years before everyone has a proper house to live in. Your heart really does sink when you see these shanty towns made from corrugated iron squashed together, no running water and makeshift electricity. You really appreciate what you have. The main reason for going to Soweto is this is where Nelson Mandela lived and where Winnie Mandela lived during his imprisonment. 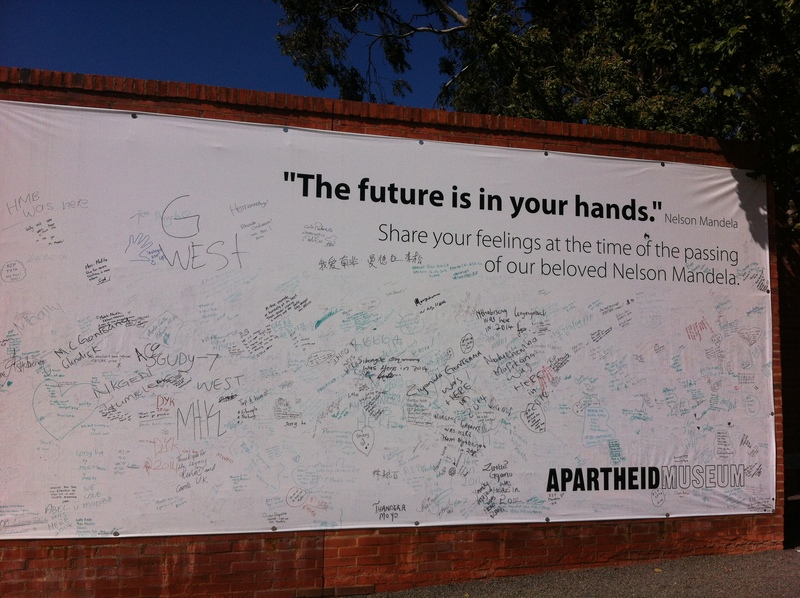 It is also the site of many protests and tragedies during Apartheid. The Mandela house is now a museum and definitely worth a visit to learn a bit more about the ANC and what went on in Soweto. The other main museum Hector Pieterson Museum and Memorial. He was the first child to be killed on 16th June 1976, when the children of Soweto marched in protest for being taught only in Afrikaans. The museum is cleverly put together through film and first hand accounts (more than 400 people died in the uprising), by those in the protest and the police. The most moving thing was our tour guide who was present during the march. He was shot but the bullet passed through him killing his cousin. It was a privilege to hear this first hand account but also hear about how someone who lived through Apartheid managed to get an education through underground schooling and has spent his adult life trying to educate tourists but also help charities within townships in both Johannesburg and Cape Town. So much tragedy and sadness filled the history of Johannesburg and South Africa but our entire time in the city and the rest of the country we came across some of the friendliest people I have ever met. Even though they had lived through so much and had so little the people we met found a way to smile. I may not have fallen in love with Johannesburg the city, but I certainly did with the people and their optimism for a better future. 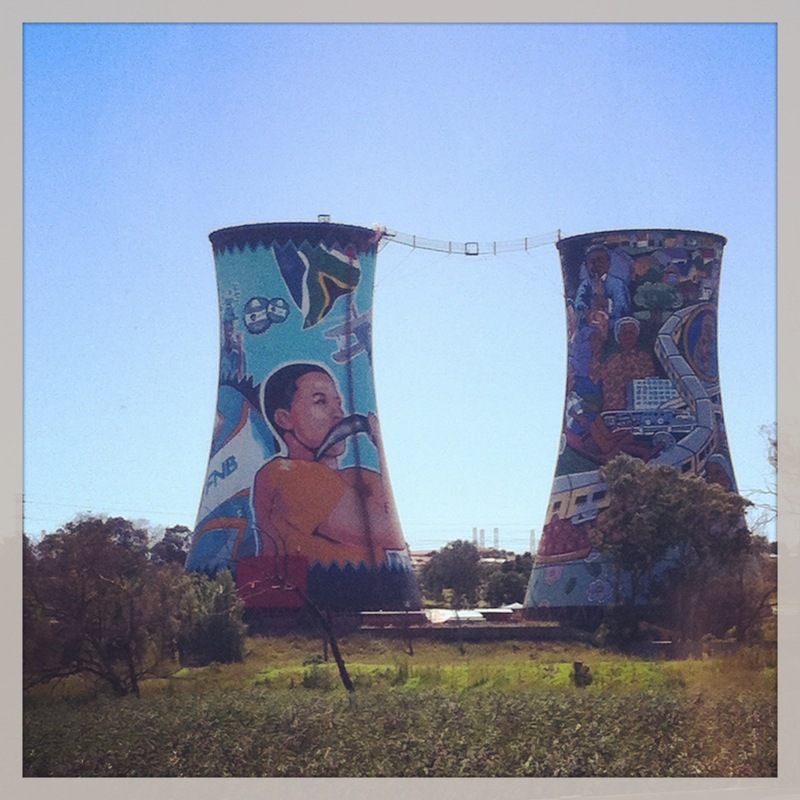 Art in Soweto, bring the place alive. From Johannesburg we left and headed to the place I was most excited about in South Africa, Kruger National Park! Berlin is one of my favourite cities, it is full of so much history, culture and art, plus the beer is pretty awesome! I was lucky enough to go out there for work last week and tagged on a couple of extra days to carry on my exploration. 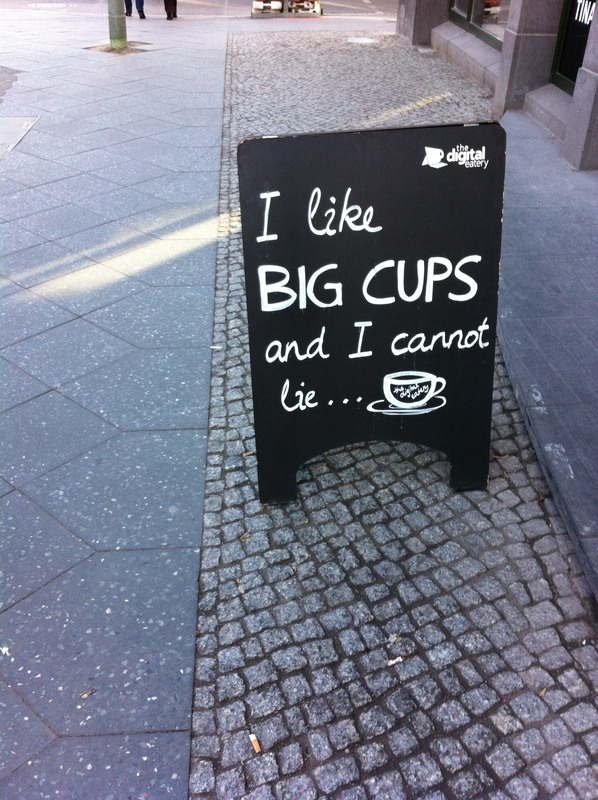 Berlin is a city that expresses itself. 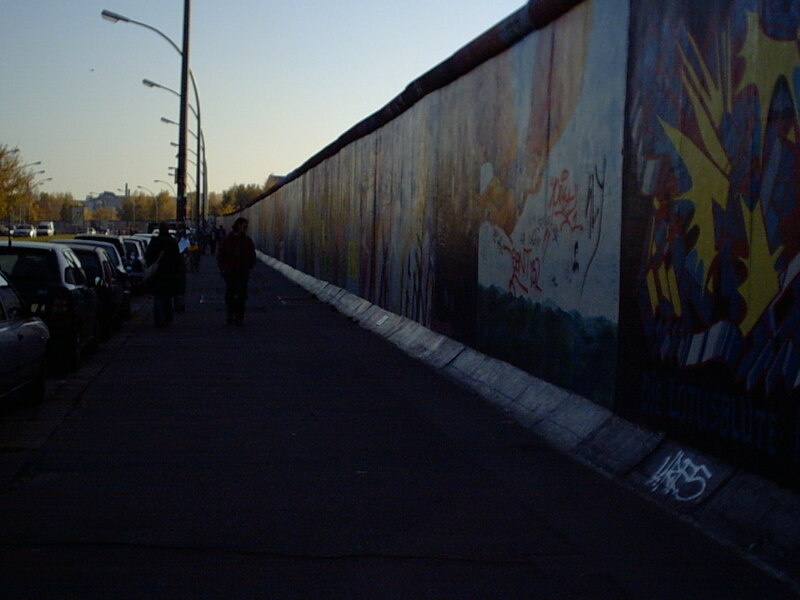 Its also a city that spent a great deal of time being defined by a wall, which has more recently become a show case for some rather spectacular art in the form of the East Side Gallery. Its using something that defined and divided a city for so long as a social platform that brings people together and teaches but also encourages expression. Its not only the East Side Gallery that showcases the artistic talents of the city but all surfaces, no matter their height. The sides of apartment buildings are painted to look like gardens, I saw a wall full of sunflowers or naked walls are used for words of expression. 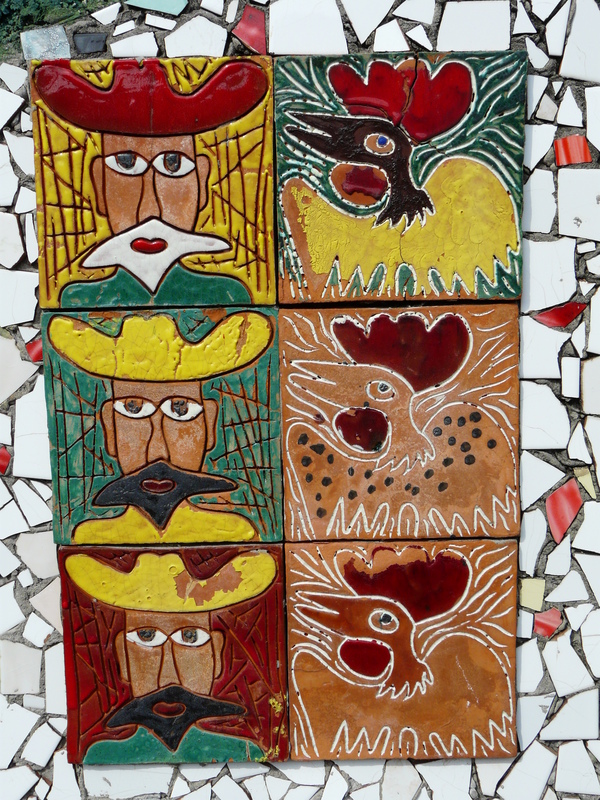 This is a city that just keeps on producing, even outside restaurants art is given centre stage. 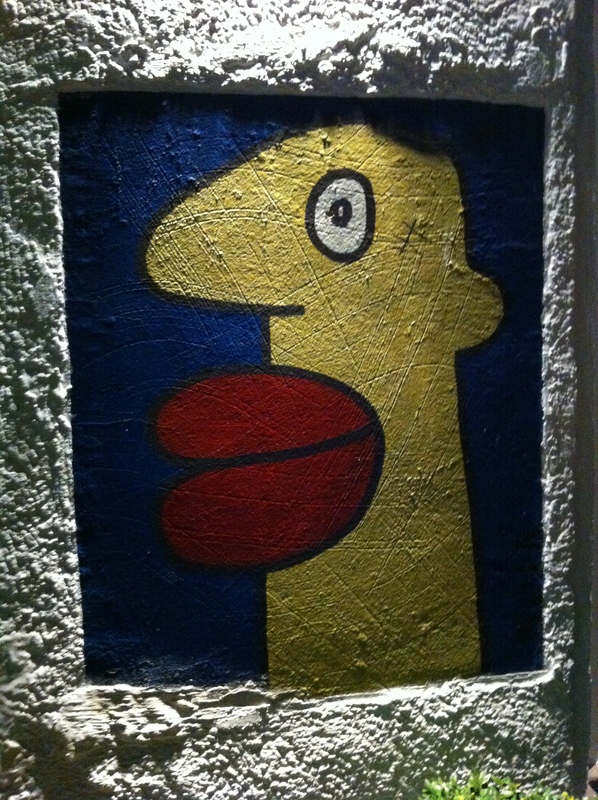 This piece was on the wall next to a restaurant we wandered by, the bright colours lit up just caught my eye. Even under foot the city expresses itself through art. 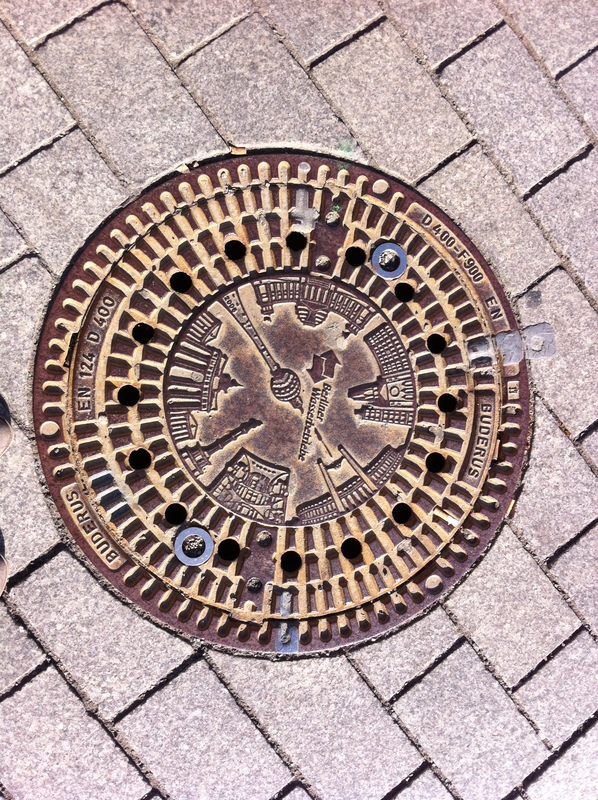 This very fancy man hole cover depicts the cities main attractions, such a cleaver idea! 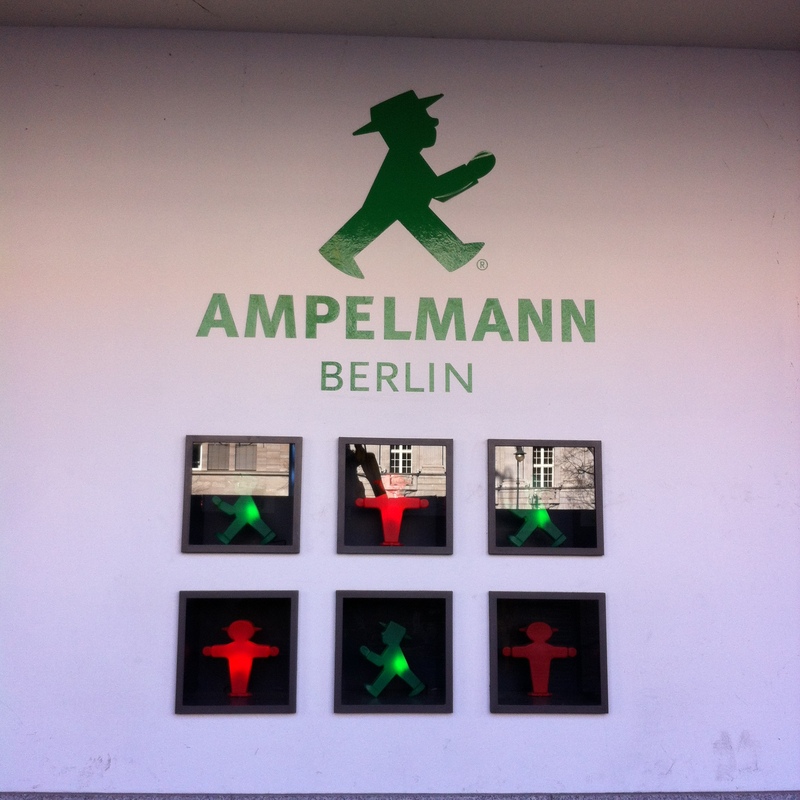 One of my favourite things about Berlin is the Ampelmann – the little green chap with a very cool hat on. He is a remnant of Berlins divided past and has over the last few years got himself a cult status. This photo just reminds me of how popular he has gotten – he has his own shop – the power of an image! It would be hard to reminisce about the art in Berlin without thinking about all the incredible art it has displayed on Museum Island. 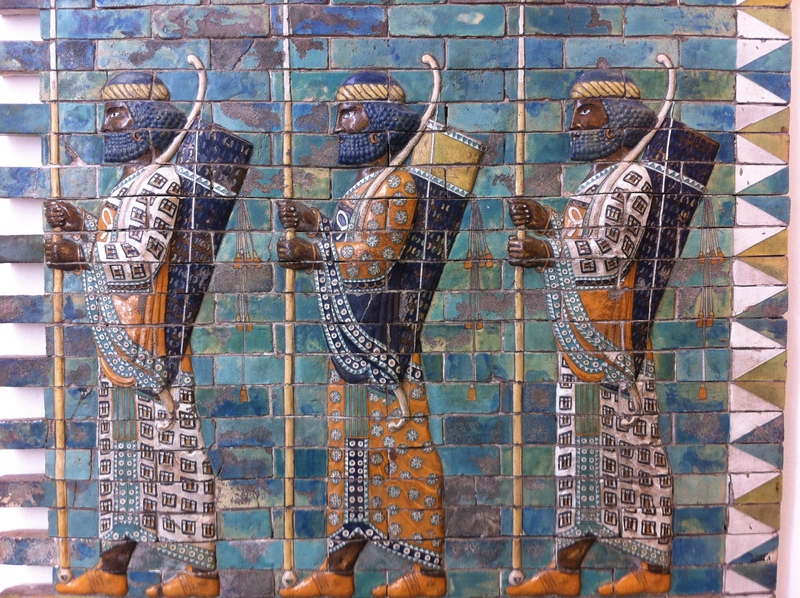 This particular image is a snapshot of the Ishtar gate, the gate way to Ancient Babylon. Its one of the most stunning piece of architecture and art. Not exactly art, but it made me smile – who doesn’t love clever word play. 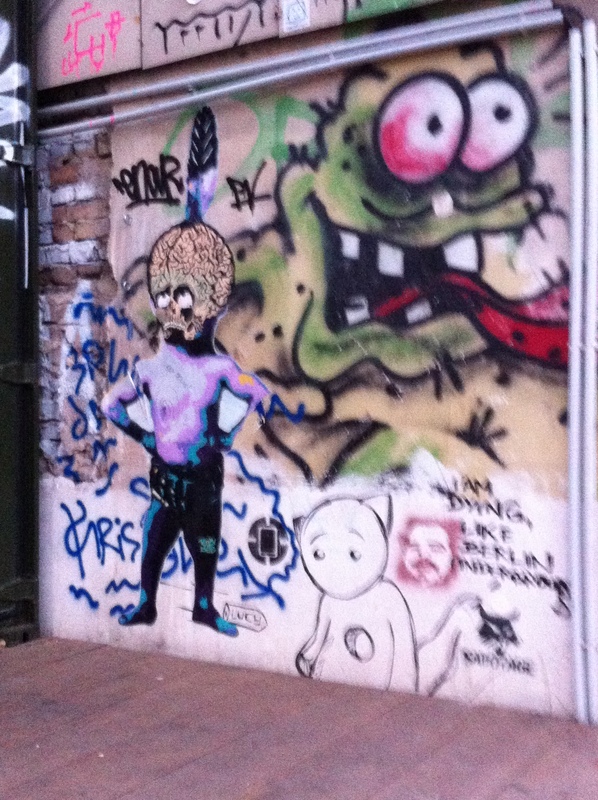 This wall was awash with art, so much is going on, from the complicated to the simple. 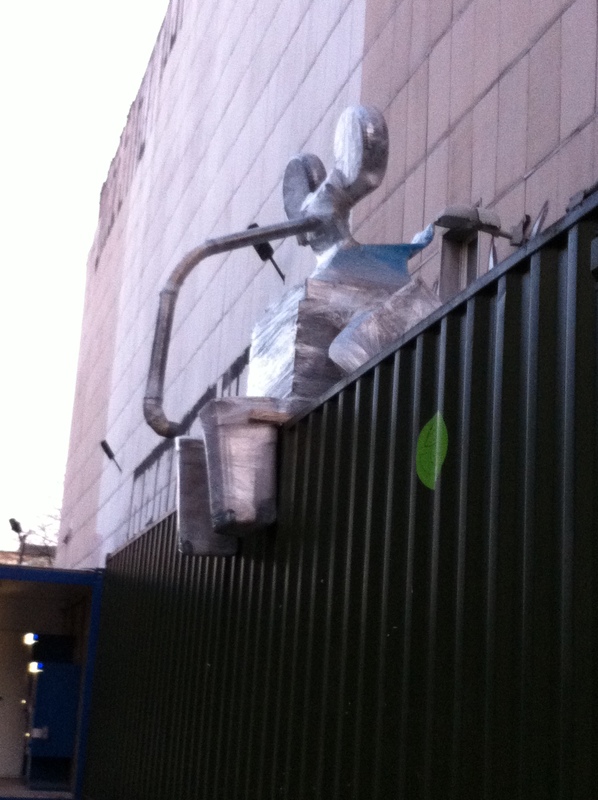 This is a perfect example of the chaotic imagery you find around the city. Perched just above the last image was this chap, is it an elephant, is it a mouse? 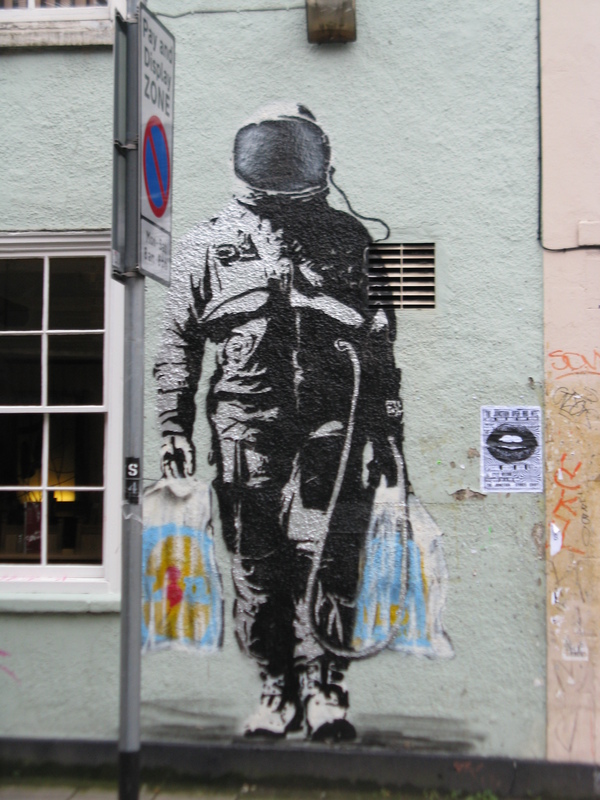 If you would like to see more examples of Berlins amazing street art, then Time Out has some great images, and this article on Smashing Magazine is a great piece. Alternatively, get yourself booked on a trip to Berlin!